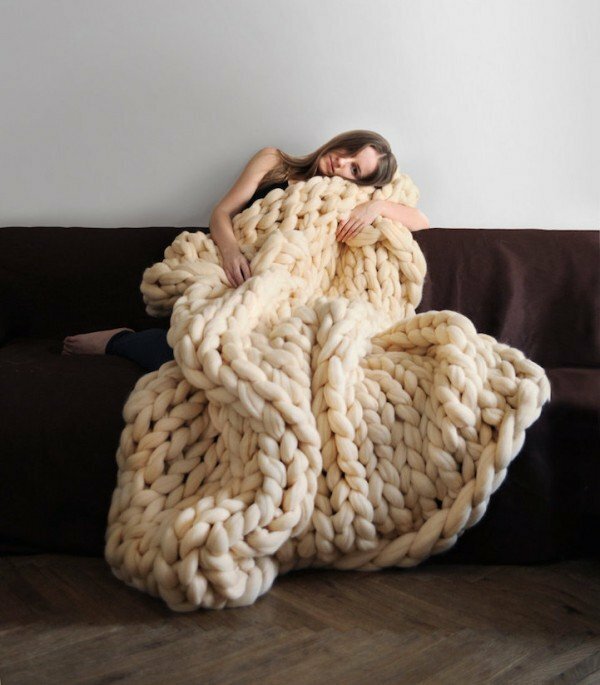 I bet you can not resist this super cozy and fluffy wool blanket!! 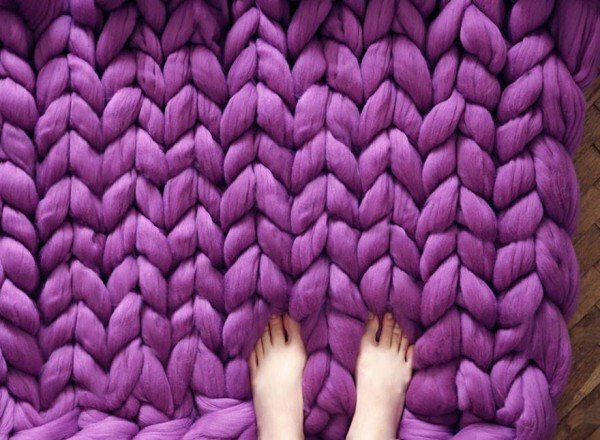 Ukrainian designer Anna Mo creates super chunky, hand-knitted blankets that are perfect for curling up on the couch and even for floor. Great that they’re all for sale through her Etsy shop called Ohhio. 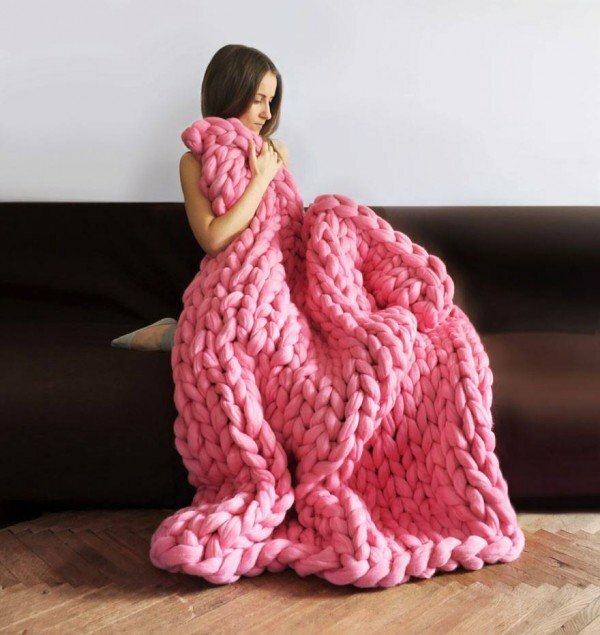 The large blankets are available in a variety of colors and made with 100% merino wool, which are soft, lightweight, plush and pleasant to touch. The giant stitches are the most defining feature of Mo’s handiwork. 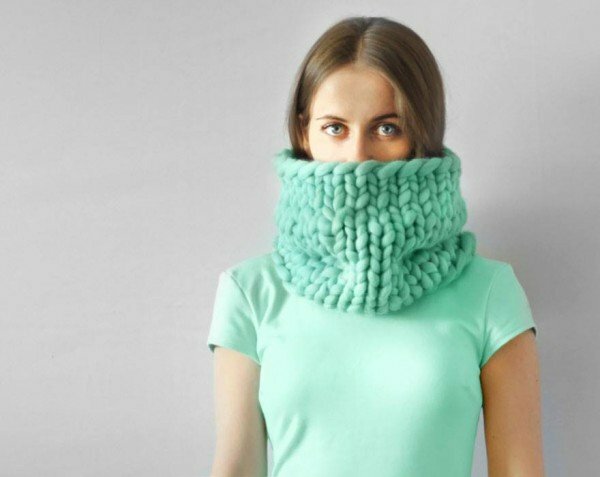 One stitch is equal to three inches, and she has to use oversized knitting needles to produce such large loops. As a result, the blankets look as though they’re made for giants rather than mere mortals. 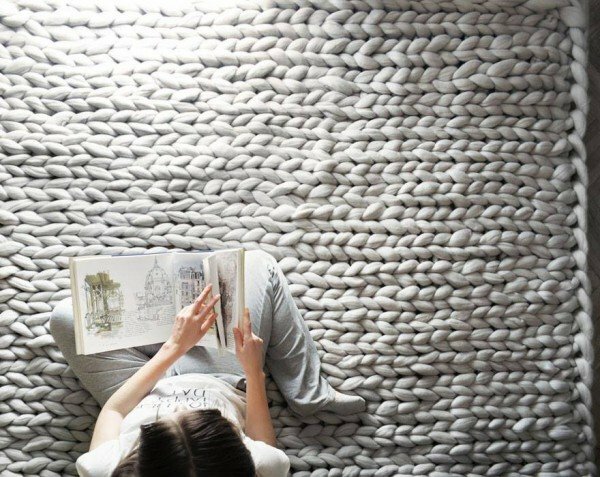 The texture appears excessively magnified, making it cozy and able to stylishly engulf the body, aren’t they fabulous enough? 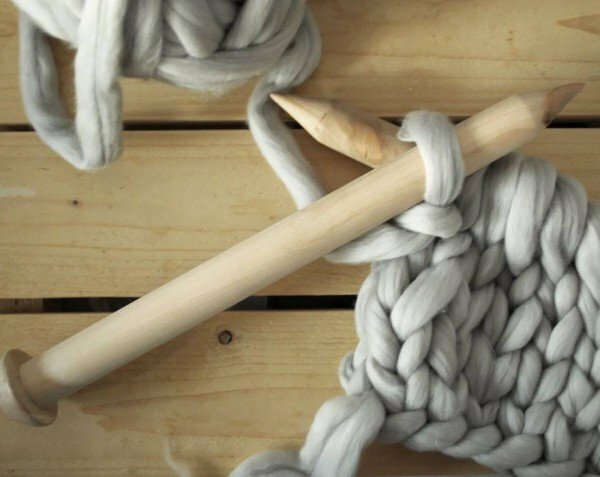 Anna’s mother taught her to knit at a very early age. Most days, Anna works on a computer as a designer. 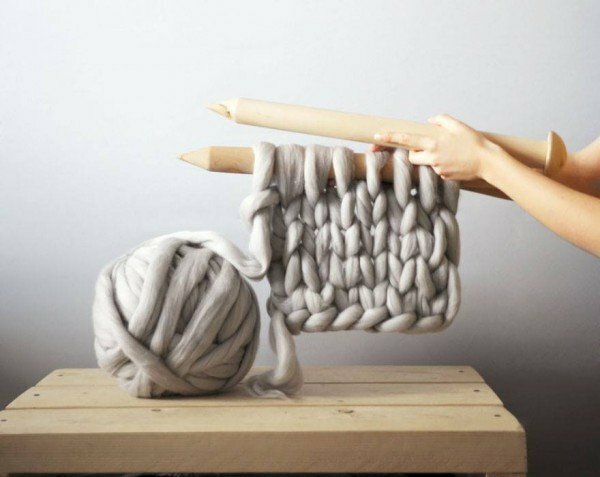 Knitting became a secret side project that allowed her to move from “head” work to “hands” work. 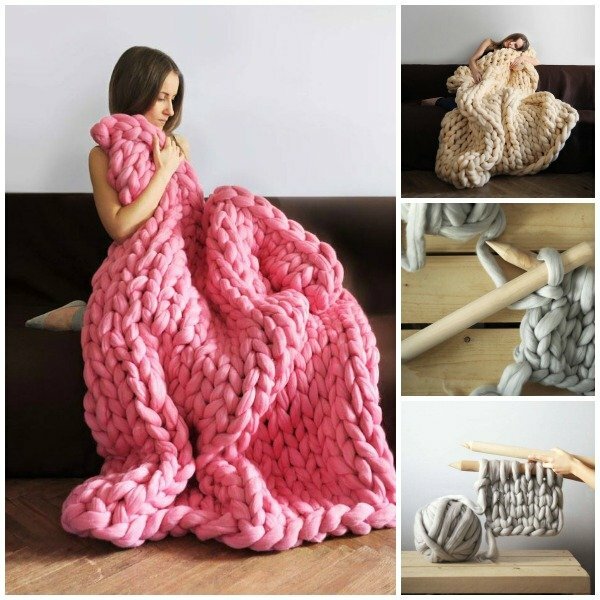 In switching between these two modes, she allowed herself to save her energy and work hard at developing her knits. “Ohhio” began as an experiment with just a few items. “I’m happy that I made that experiment,” Anna wrote to Beautiful/Decay, as her shop has now blossomed into a full-time business. You can visit Anna’s Etsy, Facebook to view more of her work and get inspired to try. 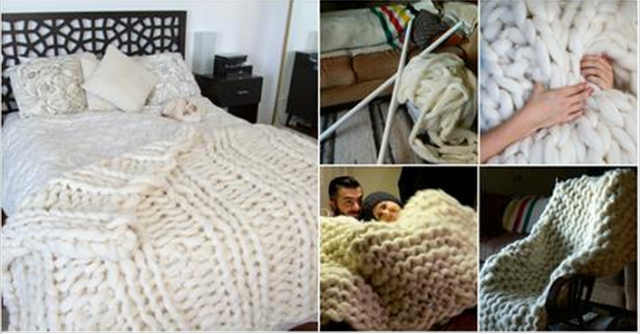 You can check out how to knit the chunky blanket using PVC pipes to get started.